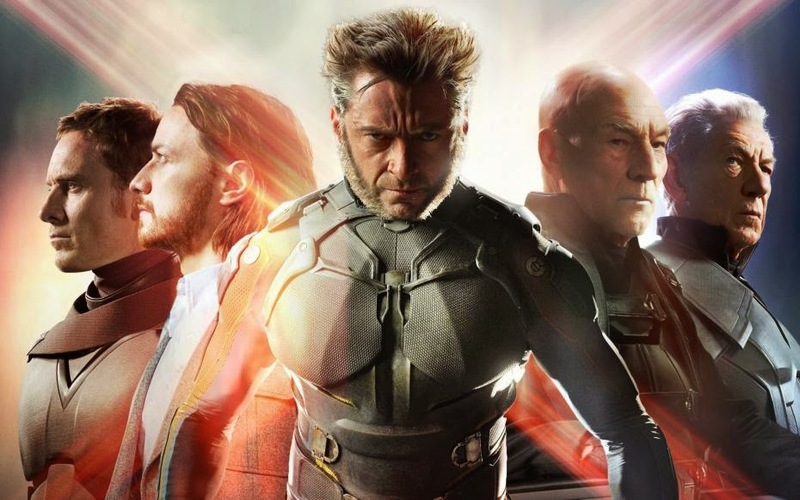 The X-Men gave birth to the modern era of comic book superhero blockbusters. It might be easy to forget that considering the franchise immediately went on a decade long decline into not just mediocrity but outright terribleness. The tide turned three years ago with Matthew Vaughn's excellent X-Men: First Class, which shifted the action back to 1962 in order to tell the story of how a charming young Charles Xavier (James McAvoy) first met with the angry Magneto (Michael Fassbender) and curated a team of young mutants to prevent World War III. But that movie played fasts and loose with the established continuity of all the previous X-films set in the modern era. Did these younger incarnations represent a cleansing of the palate, a clean slate from which to re-introduce beloved characters in a brand new universe? Or was this a still a prequel to Bryan Singer's original films? Days Of Future Past has an answer to that question, and the answer is both. And neither. Bryan Singer returns to the franchise for the first time since X2, and he's brought a handful of familiar faces with him to tell one of the all-time classic X-Men stories in which a member of the team (originally Kitty Pryde, but here it's Wolverine because Hugh Jackman) travels back in time to prevent a post-apocalyptic future from coming to pass. That means that Singer (and the audience) gets to have its cake and eat it too, using X1-3 and the two Wolverine standalones as the backstory for this distant hellscape and making the whole movie about trying to erase all of those movies from existence. That's kind of a brilliant way to course correct when you think about it, simply turning into the skid and saying, "Man, we killed and declawed (literally) everyone's favorite characters and left the franchise in a terrible place. So let's just embrace that and turn the world into a complete genocidal horrorshow so that we can undo the whole thing in a way that might make everyone happy again." It's mostly effective because it feels like the proper sendoff that those characters never really got, both from an emotional and storytelling perspective. With the exception of the seemingly ageless Hugh Jackman, I expect this is the last time we'll ever see any of those original X-Men cast members returning to these roles. (Although I'd be psyched if they could ever find a reason bring in Stewart and McKellan again, especially since both Magnetos never get to share a scene together here.) And that's the way it should be. It's time to let a new generation of talent bring those characters to life, and I'm psyched at the prospect of seeing a young Cyclops, Storm, Nightcrawler, Gambit and Jean Grey join the fold. It remains to be seen exactly how that's going to be executed, as the end of Days Of Future Past firmly establishes most of these characters as alive and well in 2023. In a way that actually feels limiting, as it means we can't meet a teenage Cyclops in the next film (set in the 80s) because that would make James Marsden 58 years old at the end of DOFP. That's why I say this film both is and isn't a total reboot. Yes, we've thrown out 95% of what's come before First Class and Days Of Future Past, but by giving us even just a fleeting glimpse of what the future holds for Professor X and friends and by tying that future back to a group of actors that we're likely to never see again, we're left with a destination for these characters and stories that will likely exist only to torture continuity nerds like me. As for how Fox plans to handle the bevy of potential spin-offs, I simply have no idea. In Episode 16 of our podcast, Bart, Jamie and I discuss all of this as well as the moral turpitude of Bolliver Trask and how Bingbing Fan is most definitely not Saoirse Ronan, along with Gareth Edwards's entrance into the Star Wars family and Edgar Wright's departure from Marvel's upcoming Ant-Man. Enjoy!